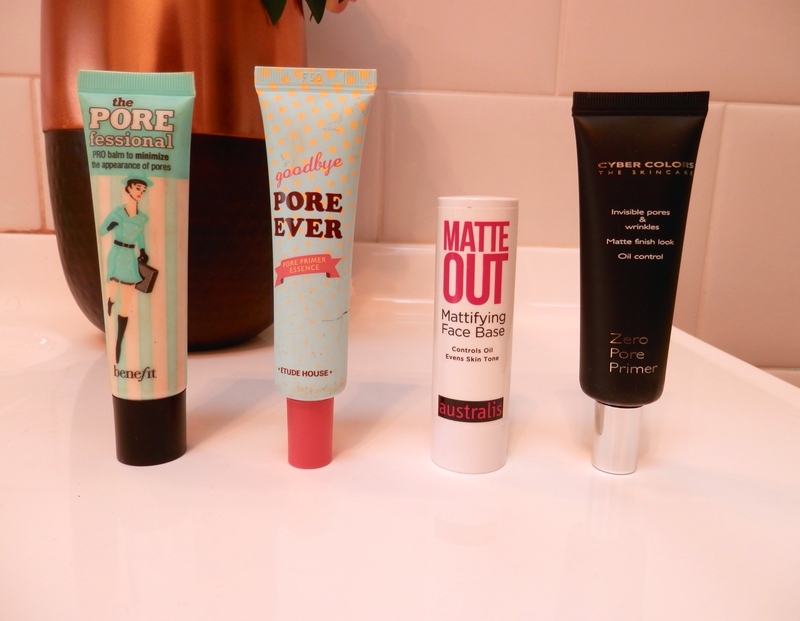 I’m Back With My Favourite Primers! Hello lovelies! I have to start by apologising for my ten day absence, I have been house sitting for a friend and the internet was a little bit shotty so it was impossible to upload photos and complete a post so I am very, very sorry. So I’ve come home for a couple of hours so I could put this one up and things will be back to normal after this week. I thought I would come back with a post about primers. I rely heavily on primers as part of my daily makeup routine and as it is coming up to summer I am going to be relying on them to keep the shine at bay and keep my makeup in place! I’ll start with a very popular one Benefit’s Porefessional, this is a must for anyone who has noticeable pores and/or oily skin which is definitely me! This goes on so smoothly and leaves a lovely satin finish to the skin which is a perfect base for my foundation. I have rather large noticeable pores and this does’t completely fill them in but it definitely keeps my makeup in place and stops me from getting overly shiny. Next up is Etude House Goodbye Pore Ever, I discovered this little beauty in Malaysia. It is much the same as the Benefit primer however, it is more of a creamy texture as opposed to a statin one. I tend to use this one when I have got a shorter day as it doesn’t keep my face as matte as the other ones. I normally have to touch up during the day with this one but my mother on the other hand swears by this primer, she has slightly less oily skin so this is the perfect product for her. The next one is Australia Matte Out Mattifying Face Base, this isn’t technically a primer but if I’m having a really low key day and just want something light I just swipe this over my face and it blurs the pores and keeps my skin relatively matte. Finally is my favourite primer of all time the Cyber Colors Zero Pore Primer, this was also a discovery from Malaysia, man do they know how to deal with large pores! I have written a post dedicated to this one so I won’t go on too much about it but much like the Benefit one it slides onto the skin leaving a satin finish and it does noticeably reduce the size of my pores. I use this when I want my makeup to last for a long time and I know I can trust it to keep the shine at bay. I haven’t featured any dewy primers only because they do not suite my skin, I tend to look like a shiny disco ball if I use a glowy base so I tend to stick to powder highlighters for that little bit of somethin’ somethin’.